Discover the magic of the advanced INFERNO chassis powered by a GXR28SG engine! Experience the racing DNA of the World Champion in Readyset package! Based on the 7-time World Championship-winning Inferno (as of August 2008), the Inferno US Sports-2 is so designed to let many people as possible experience the world's best in performance and reliability. Now the driver-friendly US Sports has been enhanced for even more racing performance with the version 2. A new engine head design combines with an SG-type crankshaft on the included GXR28SG engine, and a small diameter flywheel produces the sharp response and low center of gravity expected of a race-bred machine. The power and performance of the US Sports-2 comes fully assembled in a Readyset package. Even the body is pre-printed in an color scheme that rocks to match the off-road performance. Just add fuel and batteries and get ready to send the dirt and the machine flying.  Only Kyosho's world-beating design and quality can provide this level of reliability and performance for the perfect introduction to gas buggy action.